The BMW 5 Series finally made it home! Visitors of the BMW Welt in Munich are now able to have close look on the all-new 5 Series. About one month ago, BMWs latest model made its world premiere at the 2017 NAIAS in Detroit. 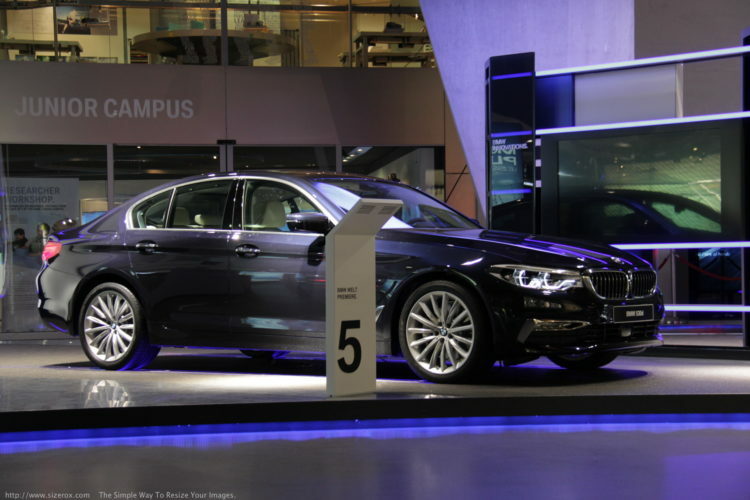 While BMW just recently announced the all-new BMW 5 Series Touring, visitors of the BMW Welt can already have a first look at the BMW 5 Series sedan. To support the launch of the new model, BMW presents the new 5er at the BMW Welt. Two models took the center stage of the BMW Welt in front of the Junior Campus. In addition to the sporty character of the 540i, the second model of the 5 Series showcases luxury and efficiency. 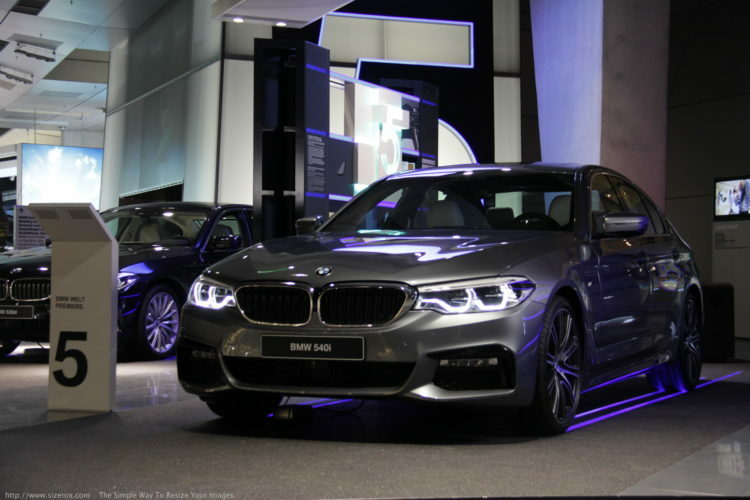 Consequently, the BMW 530d features the Luxury model line and is painted in Imperial Blue metallic. A six-cylinder in-line diesel engine produces 265 horsepower (195 kW) and 457 pound-feet (620 Nm) torque. 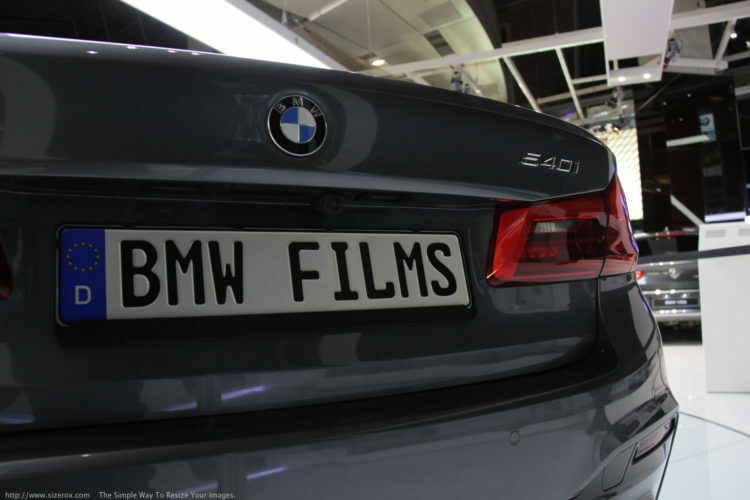 BMW claims an average fuel rating of 58.8 mpg (4.5 l/100 km). Further options of both cars include the adaptive LED headlights and numerous autonomous driving features, such as the radar-based active cruise control. Additionally, visitors of the BMW Welt can also meet the starring of the BMW film “The Escape”. 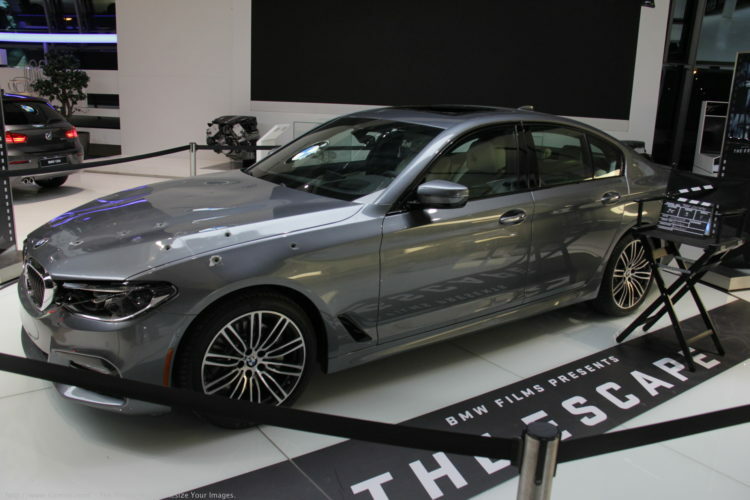 A small film set with the US model of the BMW 5 Series is placed in front of the BMW i display. The original screenplay plus illustrations and photos of the movie production are on display as well. 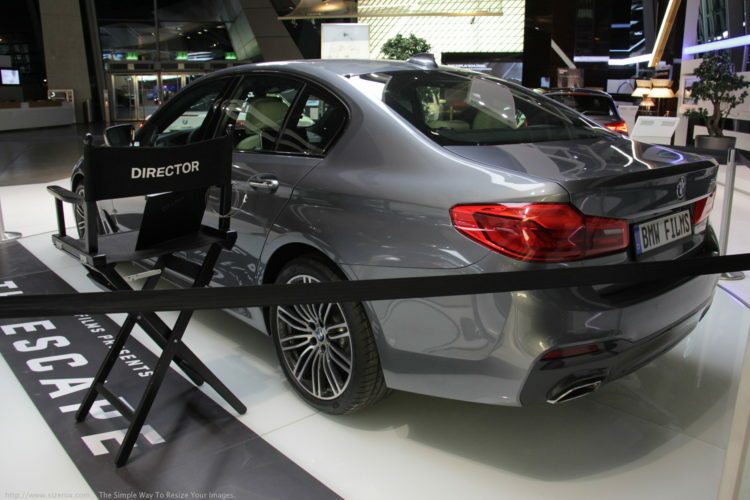 The 5 Series family (but not on display at the BMW Welt) also includes the BMW 530e iPerformance and the BMW M550i xDrive.